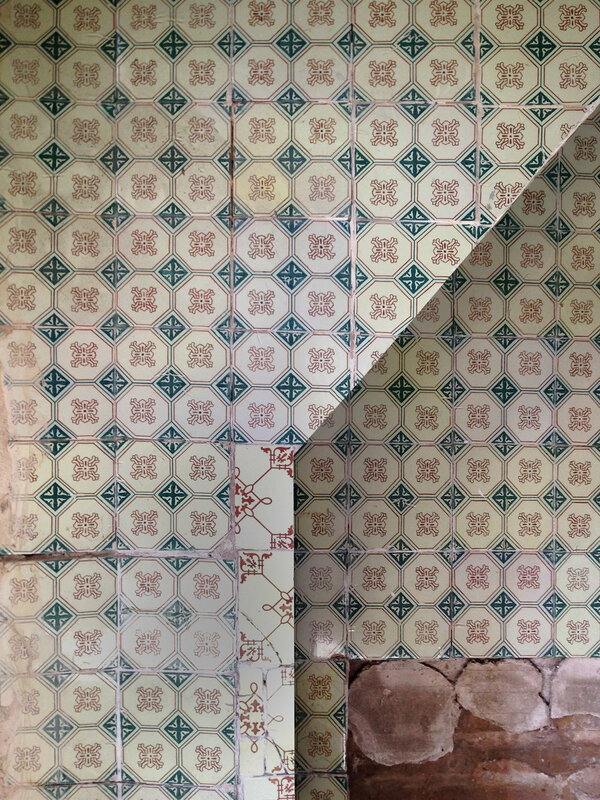 Ongoing renovation project of an old fisherman’s house. The Cabanyal neighbourhood is a little gem 10min away from the city centre of Valencia. Bathed by the mediterranean sea, this old fishermen village is formed by two story houses of colourful tilled modernist facades. Some buildings specially stand out for it’s patrimonial value like It’s theatre, the old fish market, or the “Casa dels Bous”, where the bulls that helped pulling fishing nets and boats from the sea were kept- as depicted in the beautiful paintings of Sorolla. The more recent history of the area though, is one of much more controversy. The political and economical interests of the city’s former government played a devastating role in the area. It’s decay was orchestrated during the last 20 years of their power. The increasing decadence of the neighbourhood would serve the government as an excuse to force the neighbours out of their homes and tear the houses down, allowing developers to lucrate from building an avenue and new buildings on top. Thanks to the massive mobilisation of the people the plans to tear down Cabanyal have now stopped. In the spirit of bringing a brighter future to Cabanyal, respectful renovations are starting to be planned. This house in particular is a typical example of the humble Valencian modernism. Narrow in width and deep in plan, the very high ceilings allow light to flow in leaving direct sunlight out. A very needed gesture when temperatures reach 40 degrees. Additionally, a high pitch roof construction ventilated from both facades, provides an intermediate layer that works as natural cooling. It is built in brick and covered outside and partly inside by different designs of colourful tiles. The transformation will embrace the original elements of the house and simple street lifestyle of the area.